A better driver for racing in Forza 6. We already gave you a heads up that Nvidia released optimized drivers for the Forza Motorsport 6: Apex beta, but what about Radeon graphics card owners? Don't fret, AMD has your back with a Crimson update. Not to be outdone AMD's Radeon Software Crimson Edition 16.5.1 driver package brings performance tweaks to Forza. There's a potential to see some big gains—AMD claims Radeon R9 Fury X owners will see up to 27 percent better performance in Forza 6 after if coming from Crimson 16.4.2. That's based on a burly setup consisting of an Intel Core i7-5960X CPU and 16GB of DDR4-2666 memory running the game at 4K. AMD didn't mention optimizations for any other titles like Nvidia did with its latest driver release, so if things are running smoothly and you don't plan on playing Forza 6, you might want to wait until the next Crimson update. 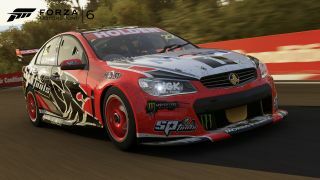 Forza 6 is available exclusively in the Windows Store as a beta release. The minimum specs call for an Intel Core i3-4170 processor, 8GB of RAM, Radeon R7 250X or GeForce GT 740 graphics card, 30GB of HDD space, and Windows 10 (for DirectX 12 support). To run Forza at 1080p at 60 frames per second, Microsoft recommends an Intel Core i7-3820, 12GB of RAM, and a Radeon R9 290X or GeForce GTX 970 graphics card. It will take a beefier setup to play Forza 6 in 4K at 60 frames per second. According to Microsoft, you'll need an Intel Core i7-6700K processor, 16GB of RAM, Radeon Fury X or GeForce GTX 980 Ti, and 30GB of SSD storage.